My fellow first-borns will understand what I mean by this, the rest of you will just have to take my word for it. Perfectionism is this unexplainable, illogical need to achieve “perfection”. Of course, we realize that perfection is unattainable but we will still work ourselves to death chasing this illusion. Never satisfied. Never content. Always telling yourself, “you could’ve done better”. In the last three years I have found an anecdote. I wouldn’t call it a “cure” since those perfectionistic urges are still present somewhere in my mind, but this anecdote has definitely taught me that I’m far from perfect. I can’t keep a spotless house. I can’t follow my schedule every day. It’s ok to fix chicken nuggets or pizza for lunch. And, the world will not end. The name of this miraculous drug…Mikayla. Maybe all children offer this anecdote. Maybe its just my precious angel. (If you struggle with perfectionism, I’ll gladly loan her to you for a week or so.) Either way, I have had to really let go of some of my idealistic tendencies in order to maintain my sanity. 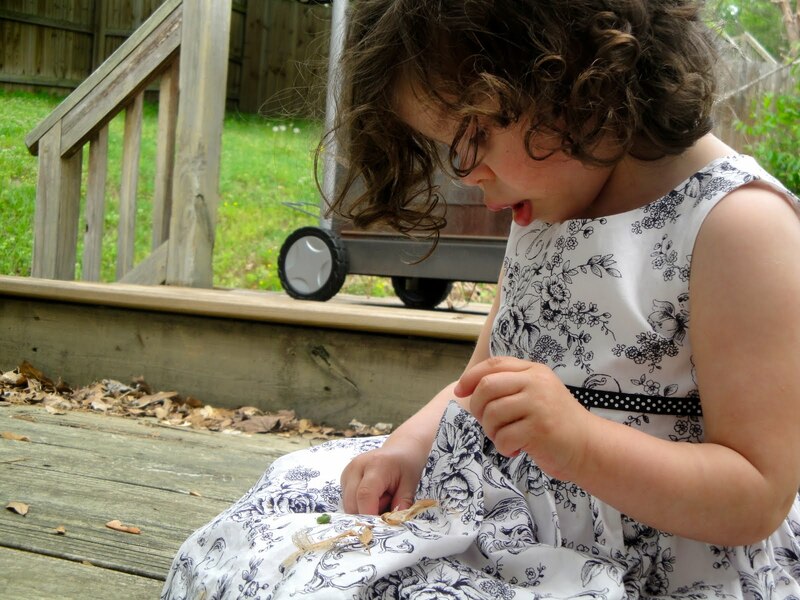 A few days ago she reminded me once again, ever so subtly, that I am an imperfect parent. While peacefully browsing the isles at Target my lovely child pitched a fit over a toy. She screamed. She slapped me. She threw her shoes. She screamed some more. Other shoppers wished I would just leave…they didn’t say it…they didn’t have to. I’m sure they all thought I’ve never said no to my child a day in her life and that my cute, curly-haired princess is a spoiled brat. They didn’t say that either…their judgmental looks said enough. What did I do? Well, after (calmly) sitting her back down and picking up her shoes, I continued my shopping. I said (in a surprisingly calm tone), “I’m so sorry. We don’t get what we want when we scream like this.” I ignored her and smiled at the on-lookers with their “what kind of mother are you” glances. And, I repented for all those times I had been a judgmental on-looker while someone else’s kid screamed their head off in public. Was that the right way to handle the situation? Should I have just left? Should I have offered punishment in some form? I don’t have a flippin’ clue. But, this isn’t the first time I’ve felt imperfect as a parent. And it won’t be the last. Maybe that’s the way it’s supposed to be. Maybe God gives us these frustrating little bundles of energy called children knowing that they will teach us as much as we will teach them. Maybe we as grown ups think we have life figured out and our children are God’s way of reminding us that we in fact have nothing figured out. Maybe this was just another lesson in “Chrystal isn’t perfect.” I need reminders every once in a while. 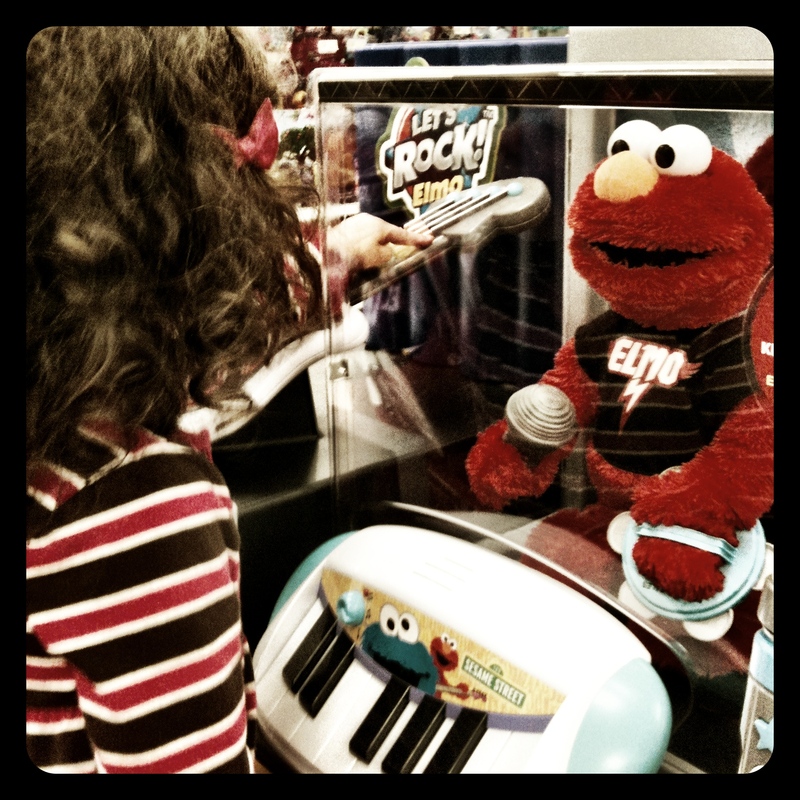 By the time we left the store, she had calmed down but was still fake-whining for the toy. I continued ignoring her and by the time we got home she had forgotten all about it. She was her usual easy-going, happy self. We watched the Lion King…seven times. What was the toy? I took this picture before the melt-down began. You might be thinking, “why’d you let her play with it in the first place?” But if you’ve ever seen my child with Elmo then you know it wouldn’t have mattered. The moment she saw him from 20 feet away it was already too late. My hope was that if she touched it for a few minutes she’d be ok to move on…uh, nope! There’s a good chance we’ll be avoiding the toy section like we avoid the swine flu until Christmas is over and all the giant displays are removed. That or you’ll know it’s us if you hear a screaming kid in Target. Please tell me I’m not the only one learning this lesson. What’s something your child has done to remind you of your imperfections? We are so proud of our little angel and thrilled that she’s doing so well. She’s growing like crazy and is unbelievably sweet. She loves to give kisses and “suggle” (snuggle) while watching Mickey. We truly appreciate your continued prayers for her overall health and growth and are so thankful for the many friends and family members that love our sweet baby. In February we had about 10 inches of snow. It was really too deep for Mikayla’s little legs – she just fell on her face every time she took a step (which I may have laughed about). She did enjoy eating it though. Mikayla’s third birthday! I can’t get over how big she looks in this picture. Easter. 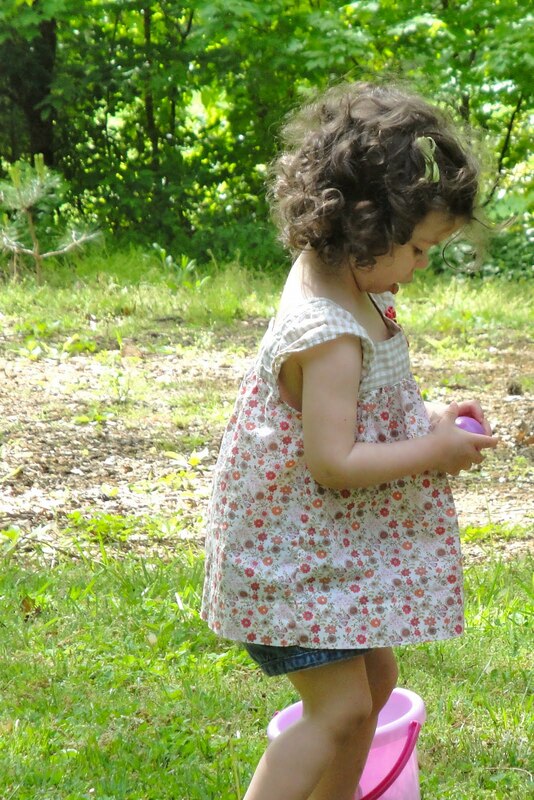 Mikayla didn’t care about egg hunting except that she thought chocolate was in every egg. She’d pick one up and open it then she didn’t care about the rest. She must take after her mama. This week much of the south has been hit by tornadoes. 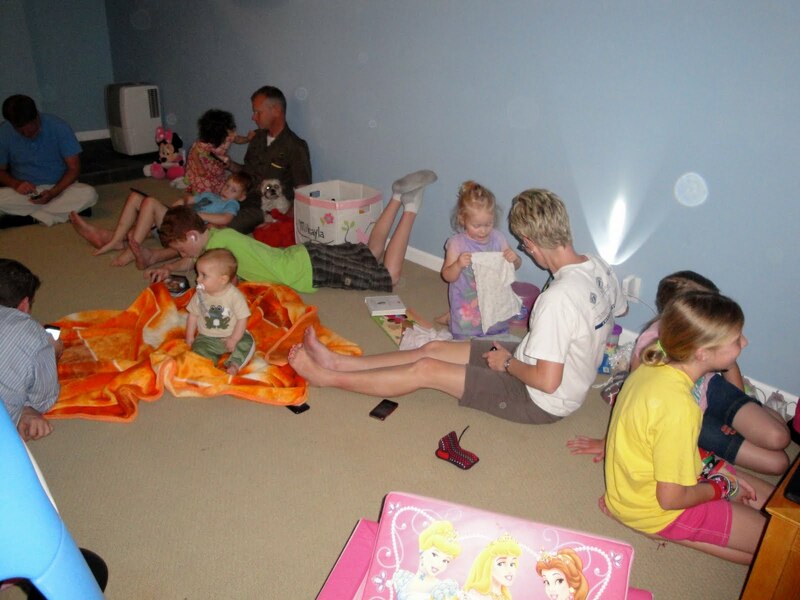 Our living area is a finished basement so we had a few friends over to weather the storms underground. There were a total of 15 of us, 9 children. We all spent about 9 hours together in one room, which by the end of the night we determined smelled like feet. And, the best part, we’re all still friends! We are blessed with great friends with whom to brave life’s storms – both literal and metaphorical. Transparency. Openness. Honesty. Things that are essential to any meaningful relationship. Things that are essential to doing life together with others as we are designed to do. The trouble I have with these things is that I don’t know where the boundaries lie. Just how open and honest should I be at the grocery store check out or during Sunday morning hand shaking? How do you exhibit transparency without unnecessarily airing all your dirty laundry? How do you balance honesty with privacy? For example, I have a relative (she won’t be reading this blog but I won’t mention her name just in case) who openly shares her “digestive troubles” with just about everyone she speaks to. Christmas, Thanksgiving, birthdays – you name it, if the family is together we will all know about her latest bathroom adventure. In my opinion, this is taking openness a bit too far. One thing I do know is that it starts with sharing your story. We all have struggles, fears, doubts, weaknesses, sin, loss, pain. These things make us human and sharing them makes us relatable. Sharing your story tells others they aren’t alone and sheds a bit of light on the path that someone else is walking behind you. To that end I want to share a bit of my story. 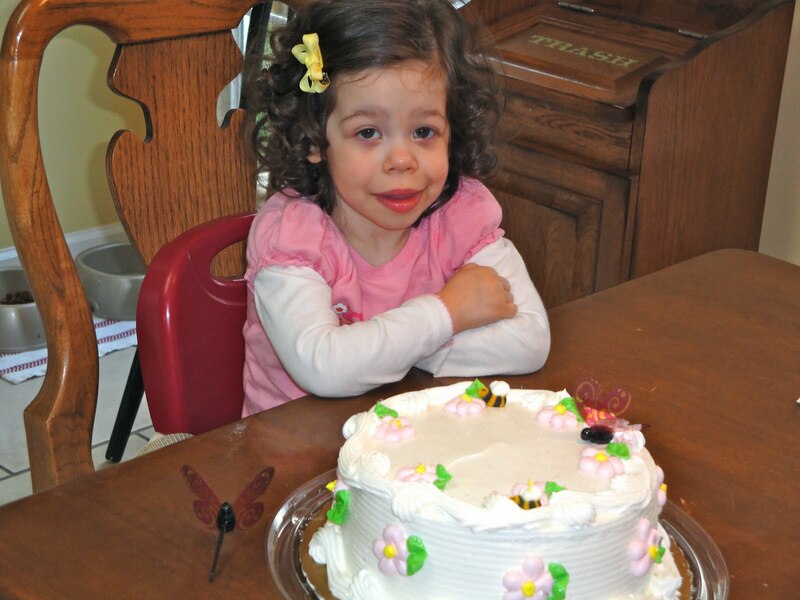 There aren’t a lot of children born with Williams Syndrome. 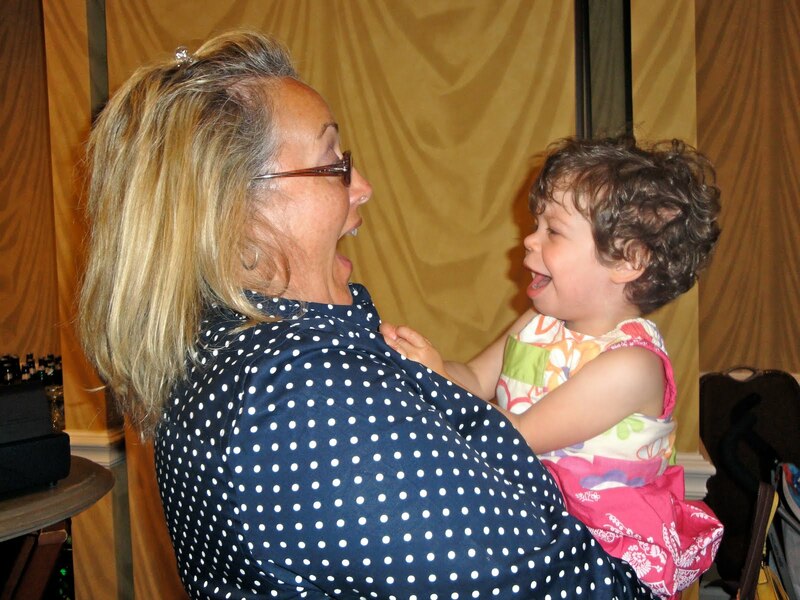 But there are many, many mothers who experience a story similar to mine when their children are diagnosed with Downs Syndrome or Autism or any number of illnesses/disorders/syndromes. I need to let others know that they aren’t alone, that it’s ok to feel loss and pain and grief. These feelings are real and they are justified but they will not last forever. I’ll post more on this in a few days. In the mean time, a quick video. I recently went through all of our old video footage. 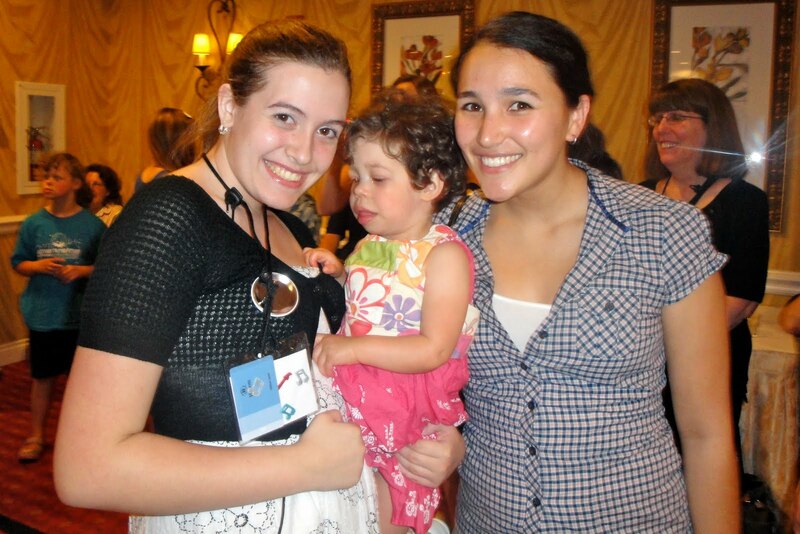 Most of what I remember from Mikayla’s first year were tears and sleeplessness. I’m thankful for these videos of happy times. I’m thankful for many happy days that lie ahead. Well, we survived the marathon…barely. If you haven’t heard how it went, you can read about it over at our H2O Runners blog. In my last post I mentioned that there were some things I wanted to share. There were a couple weeks toward the end of October and beginning of November that were “reflective” for me. I spent some time delving into emotions, thoughts, fears that I had buried rather deeply. So deeply, in fact, that I didn’t realize they were still lying under the surface waiting to burst free. I blame the running. Of course, I blame just about everything on the running. I don’t know how to explain it but those last few weeks leading up to the marathon were incredibly emotional (for our entire team, I’m not the only cry baby). I don’t know if it was just the pressure of the race or the relief that we knew was in sight or because we were nearing the end of a very long, difficult chapter that had changed us and bonded us like we had never anticipated. Whatever the reason (Mike blames PMS) I had a couple emotional weeks. Difficult but in a cleaning, healing, changing-for-the-better way. I’m dying to share more. Once the running was over I thought I’d have time to write until my fingers were numb but alas, the world doesn’t work that way. One thing after another seems to be stealing my writing time. So, for now, I just want to share a short, random video of my beautiful baby girl. 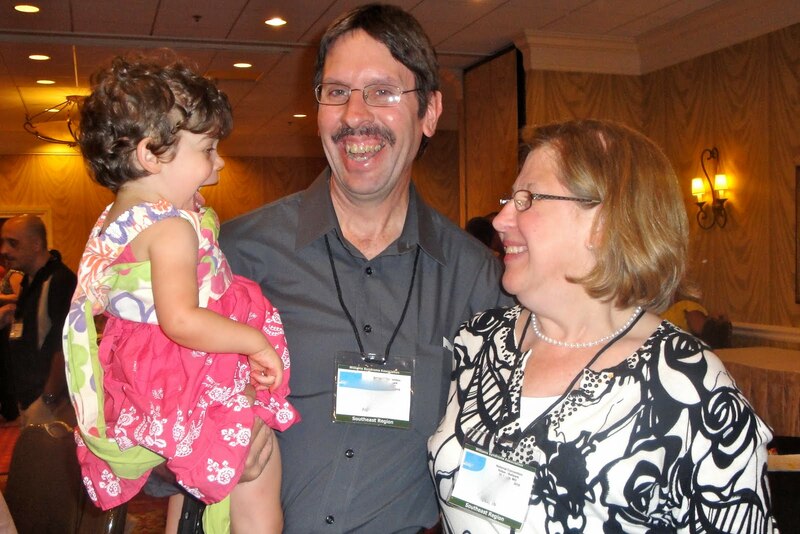 At the beginning of this month we attended the Williams Syndrome Conference in St. Louis. I’ve already written about what we took away from the conference, you can read about it here. But, I wanted to share some pictures of the people we met – people with whom I hope to be friends for many years. 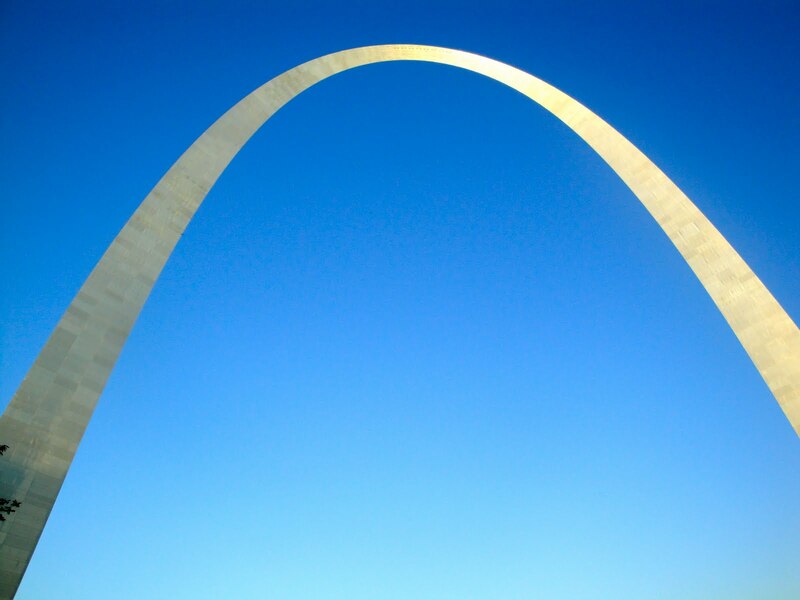 We did have opportunity to visit the St. Louis Arch. It is not something I ever want to do again. Much too small of a space for the amount of people they crammed in there. It was a great conference and I’m already looking forward to the next one! It’s been a while since I’ve posted and I have much to say…I’ll try not to drag it out too long. If you don’t know where I’ve been all month, I’ve been at Camp. Every June our church does a sports themed camp for kids ages 4 years to 6th grade. During these four weeks, life outside of camp ceases to exist. I realize that most people have a 9 – 5 job and then continue to function with the rest of their life but there’s something about spending 8 hours with 125 children that just drains me. I get home and crash for the rest of the evening – order pizza and nap till bed time then get up and do it all over again the next day. I’m probably making it sound awful and it isn’t at all – I truly love it, I just have to shut down the rest of my life in order to survive it. Amidst all the craziness of camp we had some medical challenges. It felt like we were falling apart for a few days. On June 19, Mike and I ran a 10k race with our teammates (H2O Runners). We both did well and given the major heat, I was happy with my performance. The next day Mike had to take me to the emergency room – I thought I was having a heart attack. It wasn’t a heart attack – pretty sure of that – but we aren’t really sure what it was. The ER doctor said my potassium was low – probably dehydrated from running in the heat the day before. My family doctor said it’s probably GI related – extreme reflux or esophagus spasms. BUT, my heart does have some kind of funky rhythm that seems to be throwing the diagnosis off – making them unsure anyway. So I have to follow up with a cardiologist next week. In the mean time, I feel ok but I’m not allowed to run which has been very frustrating given the impending marathon. A few days after my “heart attack”, Mike had to have minor yet unplanned surgery. A doctor appointment turned into “why don’t we go ahead and fix this today”. A few hours in the hospital and some pain meds and he’s all good. The day after Mike’s surgery, Mikayla had a follow up with her ENT to recheck her ears. In May he had agreed to giving us six more weeks to see if the fluid would clear up before putting tubes in. The fluid didn’t clear up. Last Friday, July 2, she had surgery to put the tubes in both ears. The surgery went well and Mikayla handled it MUCH better than her Mama did. She’s so easy going anyway that it really didn’t phase her. She was very angry waking up from the anesthesia but I really think it was more about being tired and hungry than about the trauma of surgery. She had a nap and some food and you would never have known anything happened. If you’ve spent any time with Mikayla you know how overly friendly she is. Imagine walking into a room with 300 people just as friendly. Just walking from the car to the front desk of the hotel I was greeted at least four times – not once by hotel employees but by people with WS. We’ve received more hugs from strangers in just a few days than we ever have before. This has by far been the friendliest group of people I’ve ever been around. Every elevator ride or pause in line is an opportunity to make a new friend or give a hug. No such thing as “keeping to yourself” or “having personal space”. It’s new for me. I like my personal space. But it’s very refreshing and humbling and comforting all at the same time. The first night here, we were sitting at a table in a room full of first time conference attendees. A little girl – probably 5ish – that I’d never seen before walked right up to me, laid her head on my shoulder and started petting my arm. I looked down (a bit startled) said hi. She looked up, said hi and that my necklace was pretty then turned around and ran back to dad. Standing in line at a merchandise table a young man (I think he said he was 20 or 22) turned around and started talking to us. He hugged Mikayla – which has happened a lot, mostly initiated by Mikayla. A few minutes later before I knew what was happening his arms were wrapped around my neck. We’ve attended four sessions each day. They have been great for the most part (6 out of the 8 have been fantastic, 2 of them I could’ve passed on but overall it’s been great). We’ve learned some things about dealing with issues we might face as Mikayla gets older. We’ve learned about the importance of discipline and nutrition and exercise and dealing with anxiety and obsesiveness. But, more than anything else, I think, are the things that haven’t necessarily been taught. It has been wonderful to have the priviledge to interact with teenagers and adults with WS. It’s comforting to see how happy they are and how fulfilled they are and how well they have adjusted to the world around them. 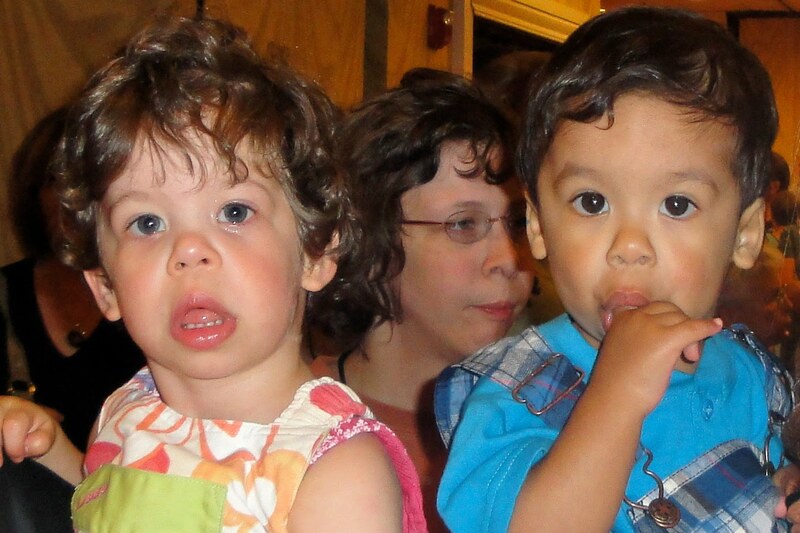 We’ve learned that just as much as every typically developing child is different, every child with WS is different. There are many, many things that make them similar but they are each unique in their attributes and abilities and appearances and personalities. The biggest thing I’ve learned so far is how blessed we are to live in a city where there are doctors, therapists and educators who are knowledgeable about WS. To have a probable diagnosis at 2 weeks and a confirmed diagnosis before Mikayla turned 2 months old is unheard of. 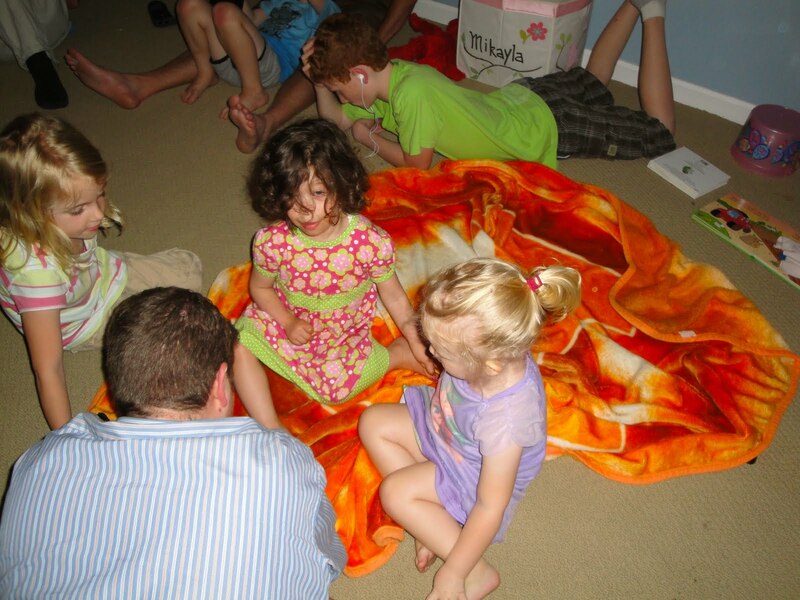 Even more surprising is that the professionals we have been fortunate enough to work with are either already familiar with WS children or are willing to take time to learn about it. There has been a lot of information given during these sessions that is meant to be new and informative – most of it Mike and I already know. That’s not saying anything about us – that just shows how blessed we have been by a community who has helped to educate us. We have been told over and over that Mikayla seems to be doing so well for her age and I have no doubt that this is hugely due to the wonderful people who helped us care for her during the crucial, early months of development. We have met several families that I hope we will stay in contact with for many years. These conferences are held every other year and I have every hope and intention of coming to every one for as long as we can. Eventually, the information and teaching will not be as relevant for us but the opportunities for Mikayla to make life long friends who are like her, who understand her and know what it’s like to be in her shoes is just phenomenal. Here, no one is different or strange. Here everyone is just loved and accepted for who they are – personal space invasions and all! I haven’t had much opportunity to take pictures but intend to do so befre the week is out. I’ll try to post them once we get home. Much love to everyone and expect me to return home as a hugger! I took Mikayla for her 6 month cardiac check up today. I won’t list all the details of her heart issues – you can read about them here. Basically, she has several issues that we’ve been watching since she was two weeks old. There is some narrowing in her arteries and two holes between the upper chambers. At our last appointment back in December we had a really good report – the narrowing in her arteries was improving and for the first time we had a clear view of the two holes in her heart. The narrowing for her was something that couldn’t be surgically repaired, so the fact that it was improving on its own was really great. 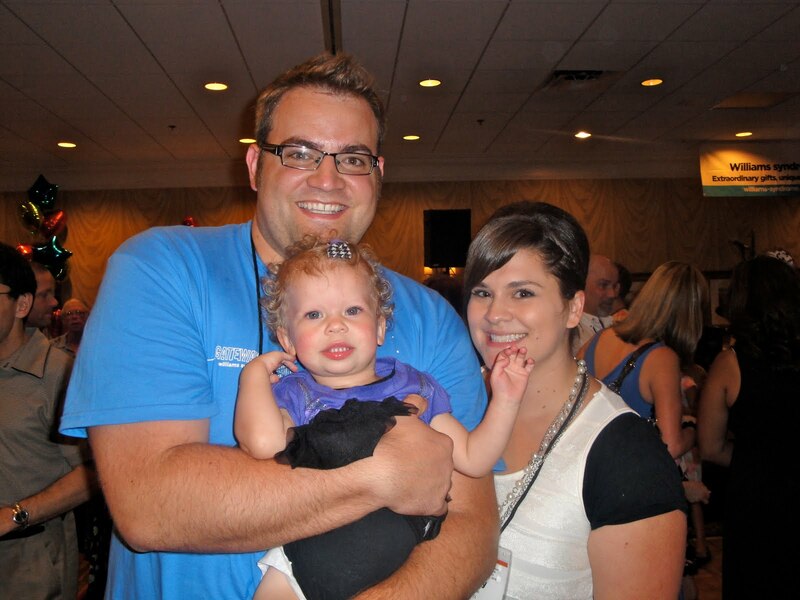 The plan from birth was to do open heart surgery when Mikayla turns 3 or 4 to repair the holes. With the improved narrowing the doctor felt that her heart could handle the holes until she turns about 6 or 7 and by then her arteries should be big enough to repair via catheter and not have to do full on open heart surgery. There was never any expectation of the holes closing on their own. We’ve known since our first cardiac appointment over two years ago that they would need to be surgically repaired. Today, “good” doesn’t even begin to describe the news we received! As soon as the doctor listened to her heart he could tell the narrowing had improved. Once he actually looked at it, he said it was basically better – very mild if at all. Then, he looked at the holes. He looked at me and said, “Mom, this hole is rather unimpressive. And, weren’t there two before?” He looked around at a different angle and did find the second hole – both were much, much smaller than ever before. He just kept talking about how tiny and “unimpressive” the holes are. This whole time I’m holding my breath, trying not to get ahead of the diagnosis, trying not to get my hopes up. Trying to keep Mikayla entertained with Elmo and carry on an intelligent conversation with the doctor at the same time. Finally, he said, “I don’t know why, I don’t care why. The fact is, those holes are closing on their own.” He said there’s a good chance the holes will continue to close and she won’t need surgery at all. Do you hear what I’m saying? I’m saying that this beautiful child that kept me up half the night and at the moment has about 75 toys spread across the room is a living, breathing, walking, heart-beating miracle! 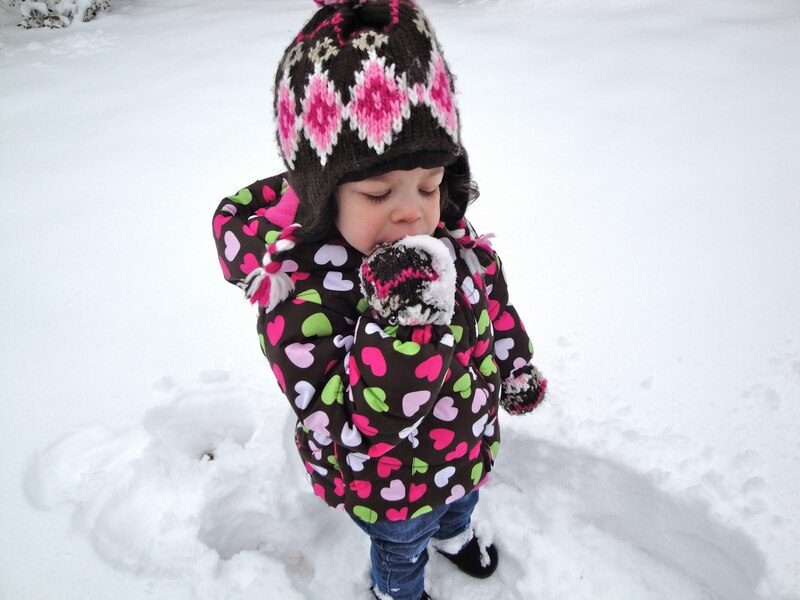 Six months ago she had two holes in her heart that had not shown any improvement since birth. Today, she has two tiny holes that appear to be closing without intervention. Praise God! 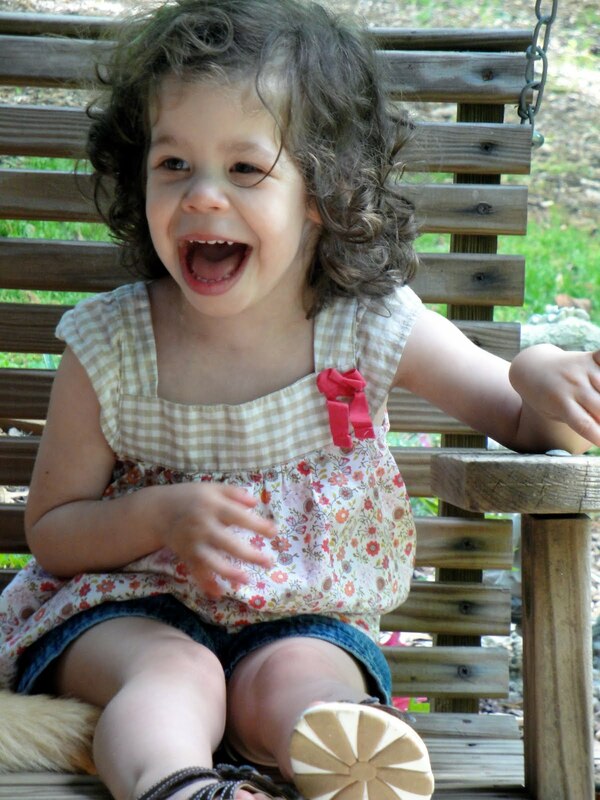 What’s more…the narrowing in her heart is a result of her having Williams Syndrome. The holes in her heart are not – they are just a “fluke” without any known cause. The doctor has said several times that the narrowing was so severe at first had it not been for the holes she probably would’ve had heart failure. The holes (something we view as a problem or defect) allowed some of the pressure caused by the narrowing to escape, making it easier for her heart to function during those first few months. Are you saying that had she not been born with holes in her heart she may have had heart failure as a baby because of the narrowing in her arteries? Are you also saying that now that the narrowing has improved to nearly non-existent the holes are inexplicably closing by themselves, without surgical intervention? Hallelujah, yes, that’s exactly what I’m saying! Do you see God’s handiwork here, cause I sure do. Two years ago we feared those two holes. We worried over how much strain her heart was enduring. When she would cry (which was a LOT) I would wonder if her being upset would cause too much pressure on her heart. Looking back, I praise God for those two holes. Now we know why they were there. God works in wonderful, marvelous ways that we do not understand. We are not “out of the woods” with regard to her heart – we never will be. There are a couple valves/arteries that will have to be monitored for the rest of her life to watch for the narrowing. It can appear/worsen at any point. And, the holes aren’t completely closed yet. From what we saw today, it looks like they are closing, but there’s still a chance that they won’t close all the way. She may still have to have heart surgery someday. But today… today I’m thankful for this reminder that God is in control even when it doesn’t make sense to us or to her doctor. Today I’m thankful Mikayla is happy and energetic and pain free. I’m praising God for His miraculous healing of my baby’s heart and I pray that should the day come when the news isn’t good or the improvements aren’t there or the surgery is needed that I’ll remember God is in control and He is good, even if it doesn’t make sense to us.